Bill Culbert. Pacific Flotsam, 2007. Fluorescent light, electric wire, plastic bottles. Image courtesy of Christchurch Art Gallery Collection. The celebrated New Zealand sculptor, photographer and installation artist BILL CULBERT has been invited by Creative New Zealand to present his work at the 55th VENICE BIENNALE in 2013. 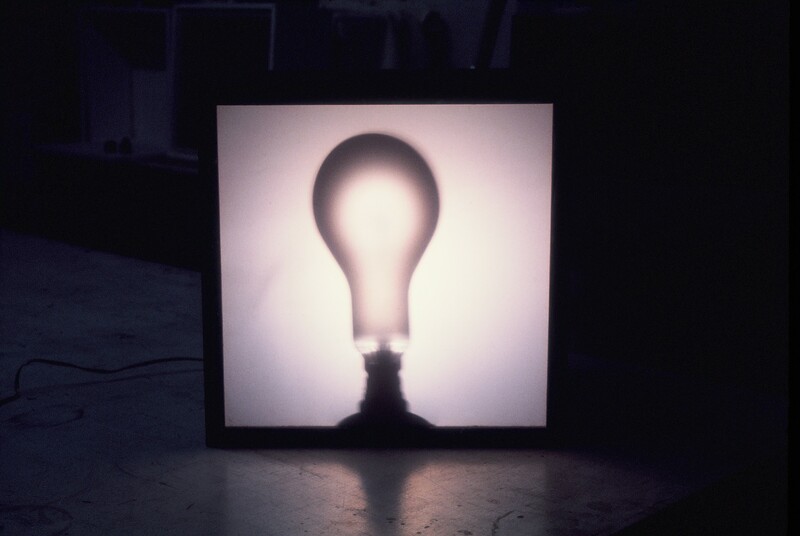 Bill Culbert began his experimentations with electric light in the late 1960s. Often associated with kinetic and constructivist art, his works reveal a strong affinity with Marcel Duchamp and Lazlo Moholy-Nagy’s tradition, specifically in the broad use of found objects and the exploration of ideas around light, energy, perspective, social space and politics. 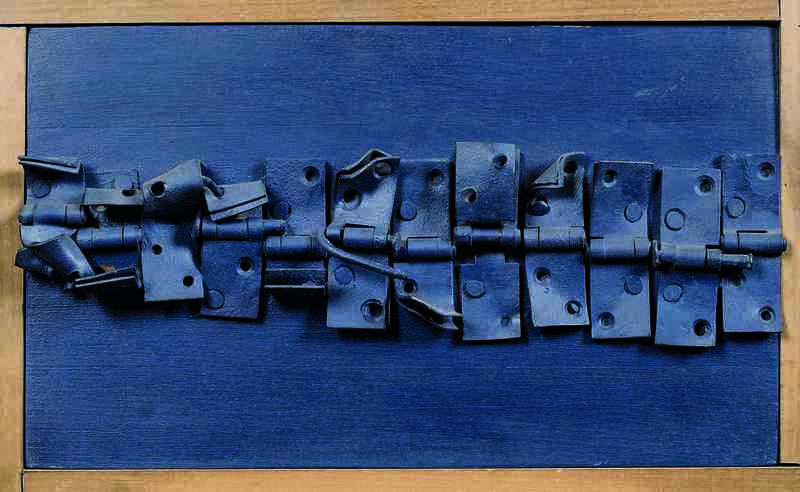 Culbert has sustained a busy exhibition schedule throughout his career, with more than hundred solo exhibitions in the UK, Europe, the United States, Brazil, Australia and New Zealand since 1960, in addition to multiple group exhibitions and major public art commissions. Among these, noteworthy are the solo exhibitions at the Serpentine Gallery (1976, 1986), the ICA of London (1984, 1996), City Gallery, and Wellington (1977); his large touring retrospective at the Musée des beaux-arts André Malraux in Le Havre 1990, and major group exhibitions, such as The Sculpture Show (Hayward Gallery, 1983), Electra (The Musée d’Art Moderne de la ville de Paris, 1984), The Sixties Art Scene in London (Barbican, 1993), Un Siècle de Sculpture Anglaise (Jeu de Paume Paris, 1996), Op Art (Schirn Kunsthalle Frankfurt, 2007) and the recent Concrete Parallels (São Paulo, 2012). Culbert was recommended to Creative New Zealand by an external advisory panel convened by 2013 Venice Biennale Commissioner Jenny Harper. ‘I am delighted that Bill Culbert has accepted our invitation to go to Venice in 2013. He makes marvellous work, constantly re-investigating how light works and refreshing how we think of it. He has lived away from New Zealand for some years, but returns regularly and continues to have a dynamic presence in this country’s visual arts. Without doubt, he is one of our leading senior artists. Venice is a wonderful platform for us both to celebrate his individual achievements and to continue to present the richness of this country’s visual arts practice,’ Ms Harper says. Putting words into action, Creative New Zealand has secured a stunning set of interconnecting spaces in front of the Lagoon a few steps from the Giardini, starting from the left transept of the Istituto Santa Maria della Pietà adjacent to the Metropole Hotel, and proceeding inward through a sequence of courtyards and internal spaces. Visitors will encounter a series of rich, immersive and contemplative sculptural experiences. This entry was posted on 24 October 2012 by Laurent Delaye in Bill Culbert, News and tagged Bill Culbert, Laurent Delaye Gallery, Venice Biennale.